Authors at the London Book Fair: how things change! This year was my fourth year attending the London Book Fair, which gave me a chance to reflect on how things have changed for authors since that first, tentative visit. 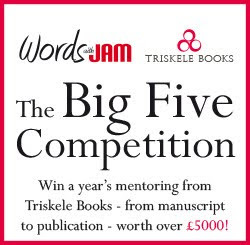 My first impression, back in 2011, was of the vast stalls of the big publishing houses, crowded with people holding earnest conversations in twos and threes. But if you weren’t part of this arcane world, then they were essentially advertising space for the publishers’ most highly promoted books. And as for those agents you might long to corner and impress with that carefully honed ‘elevator’ pitch, they were secreted away in the International Rights Centre, where admission was by appointment only. However, if you made it past those, there was still plenty to enjoy. Dotted around the Fair were theatres and speaking areas, each of which has their own programme of seminars and interviews. The Children’s Zone, the Digital Zone, the Translation Centre, The English Pen Literary Café … the programme was so crowded that it is impossible to see everything you might be interested in. Blink and you might miss it, but even back then, there was an author lounge. As I told Gareth Howard of Authoright recently, I recall sitting literally at his feet to hear him explain the difference between marketing and distribution, because his audience far exceeded the handful of cuboid pouffes furnishing the Lounge. And how very right she proved to be. By the following year, those upstart authors had made it down on to the floor of the fair itself, with a considerably expanded Author Lounge, sponsored by Authoright and an exciting schedule of seminars and workshops. What’s more, in its first year, ALLi had created a virtual network of authors, all of whom were eager to meet in person and exchange ideas. There was a tremendous buzz of excitement and a sense that here – rather than anywhere else in the Fair – was where the real innovation was happening. Unfortunately, despite the expansion, space became a major issue. On Monday, the audience for the talks was spilling out into the aisles outside, with people craning to hear and waiting in line in the hopes of getting a better spot for the next session as some people moved on. By Tuesday, the organisers had got twitchy about this. Those acting as gatekeepers, with their little clickers scanning our badges, were limiting the numbers coming into the lounge, and the security folk were moving people on if they even stopped outside to grab a quick photo. It all left many of us with the sense that, as authors, we were expected to play quietly while the grownups conducted business. Arriving through the main entrance, you would be forgiven for thinking that very little had changed in the past three years. Earls Court One was still dominated by the massive stands of the big publishing houses. Literary Agents were still tucked away in their eyrie above the main floor. But head for the back of Earls Court 2, and you’d find a new confidence among the author community. The Author Lounge – now redubbed Author HQ – was no bigger than the year before, but the layout was more ‘open plan’, allowing a greater numbers to access to the seminars. It was also placed in a corner of Earls Court 2 with a wide aisle in front of it, so that people overspilling it were no longer a health and safety issue. 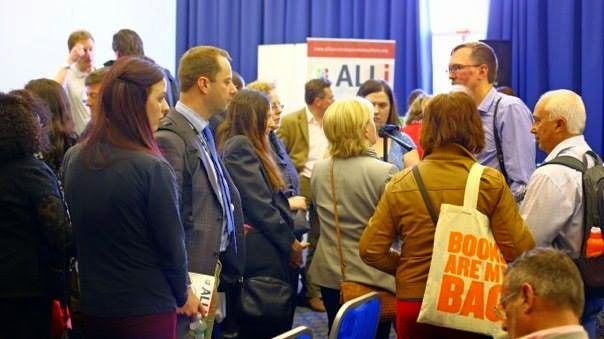 There was, as always, a great programme of seminars for authors – from ‘Breaking Through: what Independent Authors know about Reaching Readers’ to ‘Negotiating Author Contracts’, ‘How to Get the Best From Your Publisher,’ and ‘Top Ten Things to Know about getting your book made into a Film/TV show’ (to name but a few). You can read about a selection of them here. It was wonderful, this year, to be able to share the Fair with my Triskele colleagues, as well as reconnecting with friends from the Alliance of Independent Authors (now sporting the shiny new badges by which we could identify one another). The huge sense of energy and innovation that I’d felt the year before culminated, this year, in the ALLi/ACX party, where amidst the noisy chaos of a crowded pub, we heard readings from authors such as Dan Holloway, Polly Courtney, JJ Marsh, Jessica Bell and Jerome Griffin . In some ways, I felt as if I ‘came of age’ at this LBF. Now I was one of the people having meetings over coffee (or wine) with the likes of ePubli, Silverwood Books, Nook Press, Writers and Artists Yearbook and Chorleywood. Unfortunately, all this meant that, despite being at the Fair for all three days, I scarcely had time to visit the English Pen Literary Cafe, where author interviews take place. Previously, I had heard crime writer Margie Orford talk about her first-hand experience of South African prisons, discovered the Anthony Horowitz seeds his books with hidden names, anagrams and other puzzles , heard William Boyd announce the title of his new Bond novel and heard the judges of the Independent Foreign Fiction Prize discuss the shortlist. This year, I caught a few minutes of Jim Crace talking about why he doesn’t write political novels – and even fewer of the magnificent Malorie Blackman. But that was all. For me, though, the most memorable part of the whole three days has to be the impassioned speeches from Dan Holloway and Debbie Young at the Open Up To Indies Launch on the Kobo stall on the first day. Catriona Troth is the author of the novels Ghost Town and Gift of the Raven. She is a member of the Triskele Books Author Collective, and of the Alliance of Independent Authors. As part of the Author HQ section at London Book Fair, I attended three seminars aimed at independent and self-published authors. Whilst I didn’t learn too much I didn’t already know, it was good to get confirmation that as a collective, Triskele are doing much of the right thing, and it was also interesting to participate in Q&A’s with other authors in similar positions. A round table session for authors, discussing marketing options and advice from a PR agency right at the centre of advertising for clients and publishers. Lots of advice given about the importance of networking. How to use Twitter and Facebook author pages to their best potential. Also the importance not only of an easily accessible website, but how add-on mailing lists are crucial for building followers. A mention was also made to Google + and Pinternet to again build a ‘conversation’ with your readers and offer them insights into your world rather than bombard them with ‘buy my book’ messages that ultimately alienate followers. 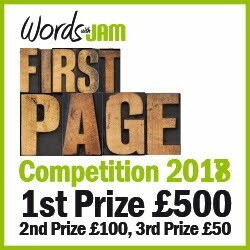 Blogs were given a high priority, to be used as a connection port with your readers, to use them in competitions, giveaways and price promotions ahead of other readers. A discussion on the usefulness of blog tours with other authors seemed to conclude that they may have had their day and did not have any direct benefits to either increased followers or extra sales. Paul Andrews discussed options his own agency used and how it was important to target the right audience. He recommended selected use of magazine advertising, targeting genres or regions who may be interested in your content. He also gave tips on how to get the best deal from magazines (an early enquiry followed by last minute booking.) Also recommended were book trailers, easy to produce with today’s technology, to offer something different to readers. A direct question about paid promotions like BookBub and newly formed sites springing up, led to a round table discussion about cost versus sales - making most such promotions unaffordable. Paul Andrews did not think that any other site was established enough yet to be charging large amounts for advertising and said to be cautious before committing to this form of paid adverts. He also explained how the key benefits of promotions on KDP Select via Amazon no longer had the added benefit of boosting a book up the paid charts when the promotion ended. In summary – mailing lists and magazine adverts/editorials were the current best performing marketing avenue. A seminar led by leading solicitors, Gateley, about film and television rights from the perspective of authors, agents and publishers. 1. What is an option? The adaption of a book to TV or film is probably an author and / or publisher’s biggest ambition. It was eye-opening to analyse just how many successful movie franchises, blockbusters and some of the highest rated television shows that actually started life as books. With such huge monetary amounts in the industry, it is arguably the most lucrative revenue source for writers and publishers. The seminar discussed all aspects of the process of adapting a book into TV or film from drafting the correct type of option agreement to negotiating licences for literary rights and advertising agreements. There was a lot of information to take in here. Simple topics such as ‘What is an option?’ were not actually simple at all once all the different options had been discussed and analysed. Issues of intellectual property and brand exploitation needed careful attention. Much of the legal jargon I’m afraid went a little over my head, although the seminar brought home to me the importance of having good legal protection especially for indie-authors who are mostly un-agented. Lisa Logan gave a series of stories about writers who had not retained correct legal advice and how this could leave an author not only out of pocket but without rights and vulnerable in a competitive world. Some of the information given here was, for me, either obvious or not applicable for my own personal circumstances. However, I found the information given about when and out to pitch interesting and learnt about the importance of separating rights (film, TV, merchandise, digital etc.) There was also an in-depth discussion about option fees, and the importance of negotiating the right deal for your book, against the final purchase price paid for the given rights. Also, for writers like myself, who intend to write a series, it was explained how the option fee and purchase price may include sequels and prequels rights, and how important it is for the author or publishers to ensure these rights are retained or made subject of separate negotiations. In summary – never give away associated rights to your book without professional advice. Lots of useful tips here from some hugely successful genre fiction writers. Interestingly, many of their answers echoed my own experiences and there was a feeling of inclusion, that all writers suffered similar trauma. Discussing the biggest learning curve they’d experienced in their writing career, all three writers admitted that learning to accept feedback and the reactions to their first professional edit were something that stuck in their memory. From thinking that you had written the finished product to realising just how far away you were from a completed novel, took a lot of acceptance. And when asked about the easiest mistake many new writers fall into, they all agreed that rushing to finish a book and publishing too soon were the biggest pitfalls. The writers discussed the specifics of their chosen genres. Jo Fletcher detailed how there was an added layer of difficulty for writers of fantasy and science-fiction. Not only did the story have to have a strong, well-paced narrative, driving the plot along, but it also had to settle the reader in the world the author created. It was also crucial to have strong, believable protagonists. It was interesting to hear Jo discuss the difference, as she saw it, between fantasy (a world that could never have been created) to science fiction (a world in a different place or time) and how it was the job of the author to get the reader on-board, so that that not only accepted, but believed, the world they inhabited throughout the novel. Manda Scott tackled the topic of research. She explained that in order to believably set her novels in the chosen period, she had to absorb herself so much in the world her novel was set, that the language and settings became second nature to her. She also discussed how she handled the subjects of dialogue and language, and how it was unnecessary (and unwise) to use archaic language to enhance the read. As she explained, the language wasn’t archaic to the people living at the time, so why make it archaic to the reader today? And she also mentioned the dreaded ALL CAPITAL EMAILS that were the bane of the historical fiction writer – these being feedback from readers who are experts on the chosen period and will take great joy in pointing out your mistakes. So, despite the fall back of disclaimers, she advised to always check your facts as much as possible with experts of your own prior to publication and not to leave research to chance or rely on Wikipedia. Katie Fforde introduced the topic of writing groups, online and real life, as support for writers of similar genres. She highlighted the benefits of groups such as the RNA (Romantic Novelists Association) It was discussed how to both give and handle critiques and how to improve your technical skill. She also discussed the success of her Katie Fforde bursary (two of her protégés were at the event) and the input she gives and benefits she receives, plus the personal satisfaction gained, from supporting up and coming authors. An interesting Q&A followed with writers getting lots of feedback on their chosen genres and topics where to access further advice and information.